Are you planning to join us for the March for Science in Washington, DC this Saturday? We have designated 2 meet up locations and times. One at 9 AM and another one at 1:30 PM. If you plan to meet us, please look for our ASPB banner! 2:00 PM As a group, begin march along Constitution Avenue towards 3rd Ave/Union Square where the march will end. Please meet the ASPB staff at Farragut Square Park at 9:00 AM on Saturday, April 22. The park is bordered by KStreet NW on the north, I Street NW to the south, and on the east and west by segments of 17th Street NW, and it interrupts Connecticut Avenue NW. We will have ASPB stickers for everyone, and we plan to take a group photo with our banner. Find us by the benches near the statue in the middle of the square. We will leave the square at9:30 AM and will head down 15th street to the join the rally on the Washington Monument grounds. The closest Metro stops to Farragut Square is Farragut North (red line). Please note, Metro has a scheduled shutdown onSaturday and Sunday for the blue, orange and silver lines at three stations: Farragut West, McPherson Square, and the lower levels of Metro Center (blue, orange, and silver lines only). Let’s regroup before the march begins in front of the Ronald Reagan Building at 1:30 PM. Find us by the fountain in front of the building on the 14th street side. We will leave at 1:45 PM and head down 14th street to join the march on Constitution Ave. The closest Metro stop to the Ronald Reagan Building is Federal Triangle (blue, orange, and silver lines). Transportation by Metro in the Washington DC area is strongly encouraged. We recommend purchasing and pre-loading your SmarTrip card BEFORE getting to the Metro station on Saturday morning. Lines to purchase and recharge cards at the Metro stations are expected to be long the morning of the march. Please visit Metro’s website for fare information, trip planners, maps, and timetables. 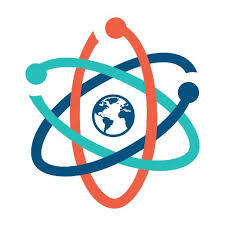 Please visit the March For Science website for complete march timeline and route details, information about security checkpoints, and other general information. Join and follow our Plantae discussion for the latest updates about the march, ideas for signs and to connect with others marching on Saturday.